Business can be rough and so can the weather. This stylish coat is tailored and in line with the current influences in suit fashion. Mid thigh length, slim silhouette and a bit stronger shoulder line to bring out the masculine silhouette. Tailored to fit perfectly over a suit and with a removable down vest for added insulation on those chilly mornings. 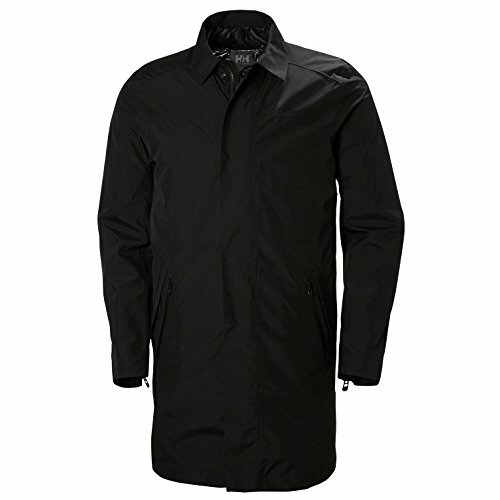 The fabric is a sleek classic oxford built with Helly Tech® waterproof, breathable technology in a 2 ply construction. Don't let the elements cause you any problems. Step up to the challenge with the Ask business coat.